Fans of the Ondes Martenot and the Electro-Theremin (a.k.a. Tannerin) will be excited to hear that Therevox is taking orders for their new ET-4 model with a first production run due in January 2012. … and even a classic spring reverb! Note - the model shown in the photo above is a prototype. The final production units will have proper silk screened graphics like the ET-3. Only 14 ET-3’s were made. No word yet on how many ET-4’s will be available, but if you’re interested in buying one, getting your deposit in soon is probably a good idea. 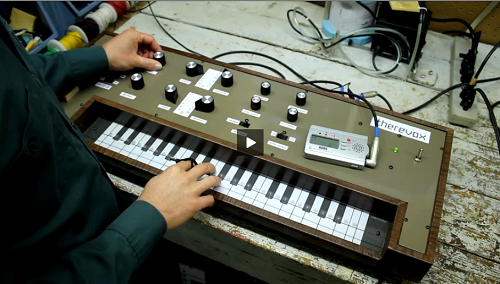 Hop on over to Therevox.com to watch the full demo.